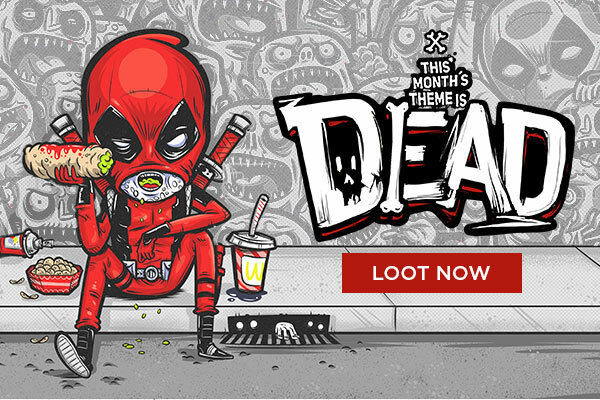 Taken from the Loot Crate email. Awesome! I can’t wait for the exclusive stuff. I’ve gotten items from Deadpool and Walking Dead in past crates and I hope the newer items are better. Hopefully the t-shirt is better than last month.